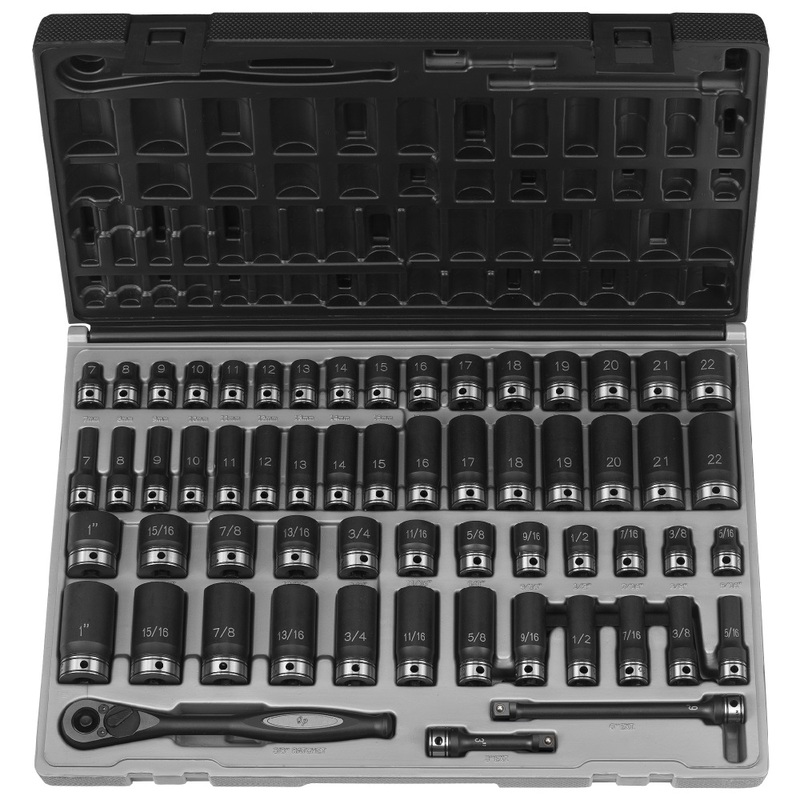 Set contains all standard and deep length 12 point sockets in both fractional and metric sizes, plus a 72 tooth quick release ratchet plus 2 extensions. Fractional sizes 5/16in to 1in and metric sizes 7mm to 22mm. 5/16", 3/8", 7/16", 1/2", 9/16", 5/8", 11/16", 3/4", 13/16", 7/8", 15/16", 1"
5/16", 3/8", 7/16', 1/2", 9/16", 5/8", 11/16", 3/4", 13/16", 7/8", 15/16", 1"